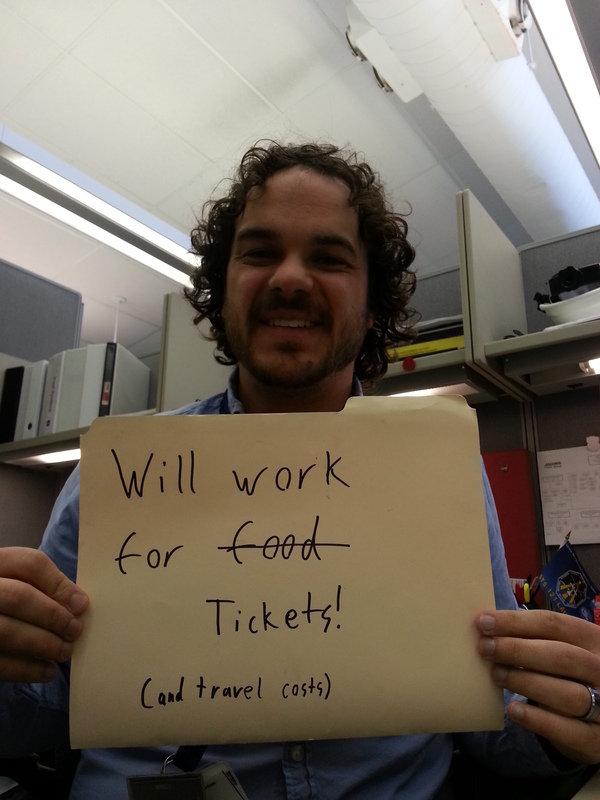 Will work of food tickets (& travel costs). If you get me there, I will do (just about) anything; ranging from dazzling people with my intelligence/geekyness, giving presentations/speeches, loading and unloading heavy equipment, &/or get you coffee. Note: I am far more experienced at the first two, than the last. In previous positions I have had the luxury of going to several amazing events; like traveling to India with Geeks on a Plane. I miss that. Don’t get me wrong, my day job is awesome, but I don’t get to go to as many awesome/geeky activities as I use to (and claim that they are work related). So if anyone has need of my experience/expertise, or just another set of hands. I would love to help you out, meet/work with new people, and get to attend any of these events. I’ll take the time off work, if you take care of the rest. This entry was posted in geek, Science and tagged Brain, comic-con, day job, geek, geeks on a plane, giving presentations, sxsw, travel, work by tjanderson. Bookmark the permalink.